Hearts are reportedly keen on signing Liam Henderson, according to reports in Italy. The former Celtic midfielder, who joined Serie B side Bari in January, has caught the eye of a number of Italian clubs after an impressive spell at the Stadio San Nicola, during which he made 17 appearances and scored two goals. 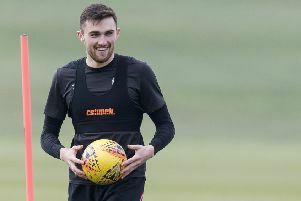 Bologna are understood to be keen on Henderson, who helped Hibs to Scottish Cup glory in May 2016, while Parma are also said to be interested in the 22-year-old. Fiorentina reportedly made a bid for the player last month while Atalanta are also circling. Bari are said to be looking for €1 million for Henderson, who is contracted to the club until 2020.